Fine work here Adam. I’ve been interested in this one. Wasn’t sure if it would hold up to previous classic war movies but it sounds like it stands it’s own ground. Cheers Mark. It doesn’t pack as deep a punch as the likes of Saving Private Ryan, but Ayer should be commended for creating a war film that strategically borrows from past outings without over-indulging. Beautifully written review Adam. 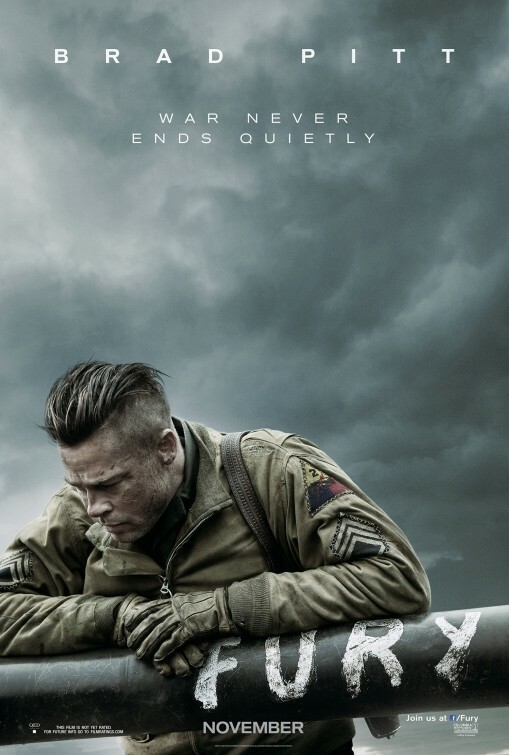 On seeing the trailer for this one I have to admit I was unsure, but it really does deliver on the horrors of war. I especially agree with you on the score and sound, excellently done. Thanks Natalie. Yeah me too, the trailers do a really poor job in promoting this one. They give away far too much of the final act! Neat review. I’ve read about this. 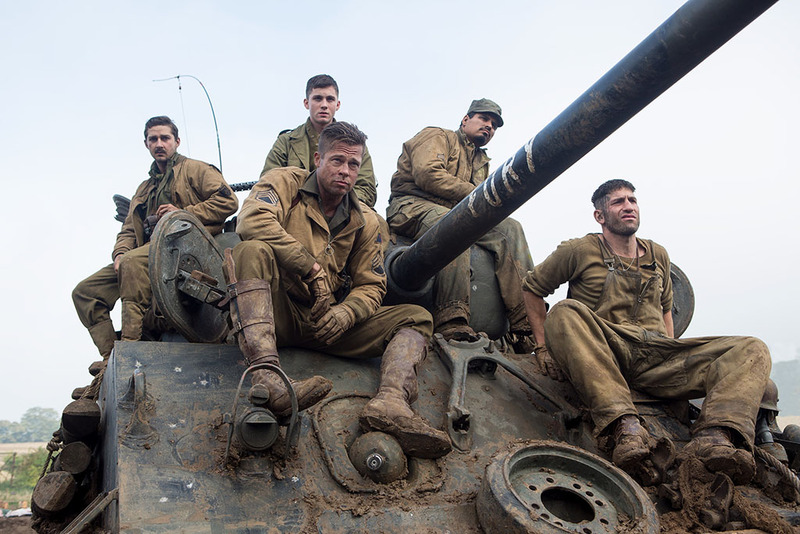 Do you think more war films will be as gritty as this? Cheers Alex. I think the genre is a gritty genre in general (at least, it should be) but there needs to be a balance between tone and content. This is really gruesome but not exploitative, because it’s a bleak story. The violence adds to the tone. Great review, Adam! Yours is one of the more positive ones I’ve read as compared to more of the mediocre ratings other reviewers have given it. I’m certainly interested in seeing this at some point, but I’m not sure if it’s worth viewing in theaters or not. Thanks Kristin! I didn’t think I’d like it as much as I ended up doing, probably because the promotional material gave off a overtly moody, award-baiting vibe. But it works, and the heavy tone is right. I’d give it a go in theatres to experience the battering audio if nothing else! Thanks Mark. A corrupt file? That’s certainly a new one! I feel quite lucky, having experienced a foolproof cinema life so far. No doubt now that I’ve said that next week’s trip will be ruined by a dodgy aspect ratio, haha. Nice work man! Very excited for this one. Impressions from the trailer were that it had a little bit more to it than the average ‘Call of Duty’ war production, and your review confirms this. The morality aspect seems really interesting. Can’t wait to see it! Cheers Jim! Indeed, I went in with fairly middling expectations and came out impressed. It’s very good, and not a million miles away from really excellent. Hope you enjoy! Brilliant work sir. I have to admit I never thought of the conclusion as something more than the logical set piece I saw it for, but you’re 100% right. Because it is shot so extensively and entails a daytime and nighttime sequence of effort on the part of these 5 brave men, the attention seemingly shifts to this valiant effort and it is spent here more than in any other place in the film. I’m glad to see it didn’t shake your ultimate view of the movie, though, for a 4/5 is surely a damn fine rating. Appreciate that Tom. I think the final act gets by because it does maintain that exacerbating sense of non-stop pillaging, but it’s not quite on point. I really admire the film regardless! Sorry for ignoring your blog (and everyone else’s) over the past week or so mate, completely bogged down by uni work that I’ll be doing until mid-December. Might be around a bit infrequently! Love, love, loved this film! It was dark, gritty, disgusting and so well acted. I was riveted from the off and was enthralled every second of the way. I am glad to see that you enjoyed it so much.